What do you need to understand about childhood medications in order to give them to your children safely and avoid errors? A standardized concentration of Tylenol (acetaminophen) and the elimination of acetaminophen infant drops. A recommendation that young children under the age of four years old not be given cough and cold medications. There is still a lot of confusion out there, however, and many parents are unsure which medicines to give their kids, what doses to use, and some parents are continuing to give their young children cough and cold medications. The increase in over-the-counter medications - medications that were recently only available by prescription - is leading to significant confusion, made even worse in that there are now many store-brand generic versions of these medications. Let's take a look at some common pain and fever medications as well as cough and cold preparations, with what you need to know to best care for your kids. As you look this over, keep in mind a few major problems which have surfaced since these all became available. There are often several names for certain medicines. Giving your child the same drug but with two different names could result in an overdose. Many children's medications contain more than one drug. Combining a medicine like this with another medication containing one of these drugs could result in an overdose. Two medications that are different may still interact. Sometimes the interaction between two medicines is worse than the side effects of the medicines themselves. Avoid multisystem medications or any medications that have more than one active ingredient. Every medication carries the risk of side effects, and you don't want to risk having side effects from a medicine you don't even need. In addition to finding the right dose, it is important to make sure that you are giving your child the right medication to treat his pain or fever. Also keep in mind that many multi-symptom medications may include acetaminophen as an ingredient, so be careful or you might double up on this medication if you give your child an additional dose of Tylenol at the same time. One contains acetaminophen and the other ibuprofen. Although acetaminophen and ibuprofen are listed on the labels, it is below the rest of the label and in smaller type. This issue isn't limited to Pediacare products, though. Triaminic, Little Fevers, Walgreens, and Equate all have similar labels. It seems like it would be easier to understand the label if it read PediaCare Acetaminophen Children's Fever Reducer/Pain Reliever instead. 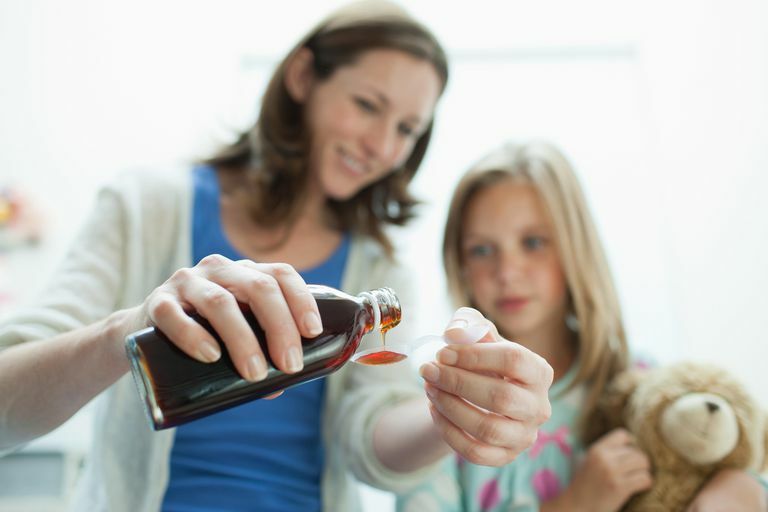 Cough and cold medications can be even more confusing to use, which makes it important to avoid giving your child more than one medication at the same time. If you are going to give your child a cold medication, then at least try to give one that targets his symptoms and not a multi-symptom medication that might have ingredients for symptoms that your child doesn't even have. Guaifenesin is a popular ingredient with parents these days, but keep in mind that it has never been proven to be helpful in children and is thought to be unnecessary by most experts. An expectorant, guaifenesin is supposed to help loosen mucus, but if you are going to give kids a medicine, they will likely feel better if you give them something to dry up their nose and suppress their cough instead. Most importantly, follow the latest health alert and avoid giving cough and cold medications to children who are younger than four to six years old. Now that many allergy medicines for kids are available over-the-counter, without a prescription, parents are facing some of the same confusion that they have always had with other OTC medicines. That makes it important to always check the ingredients list, especially when using store brand medicines. Also remember that loratadine, cetirizine, and fexofenadine are all antihistamines, so don't give them together and don't mix them with other cold or allergy medications that may also contain an antihistamine. Read the label every time you give medicine to your child. Use the syringe, cup, or another measuring device that came with your child's medicine. Record every dose of medicine you give your child, especially if you think you will be giving multiple doses on the same day. Keep your medications in their original containers and recap and put medicines away after you are done using them. Ask your pediatrician about which medications they recommend you give your child when he is sick and confirm the doses of commonly used medications at sick or well child visits. Don't give aspirin to children or teens. It has been associated with Reye's Syndrome if given when kids have certain viral infections. Don't ever estimate a dose of medication for a younger child based on the dose for an older child or adult. Check out these further tips on medication safety. It is also important to know the number to poison control in case you do give your child too much medicine or the wrong medicine. CDC. Medication Safety Basics. http://www.cdc.gov/MedicationSafety/basics.html. SafeKidsUSA. Medication Safety: Safe Storage. What You Need To Know. http://www.safekids.org/safety-basics/safety-guide/medication-safety-guide/safe-storage.html.